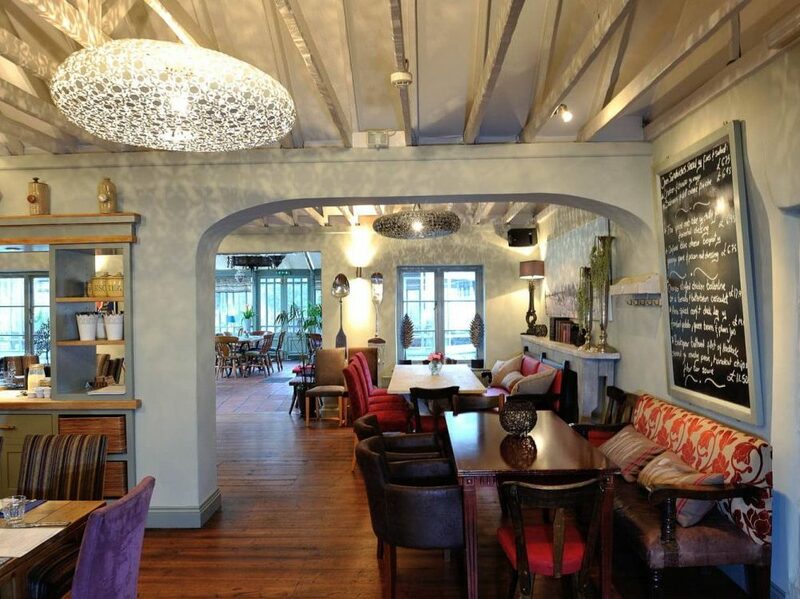 A Henley regatta fave, The Little Angel's a superb gastropub loved by locals, celebs and royalty. If you’re a regatta regular, you’ll probably be more than familiar wth the The Little Angel. 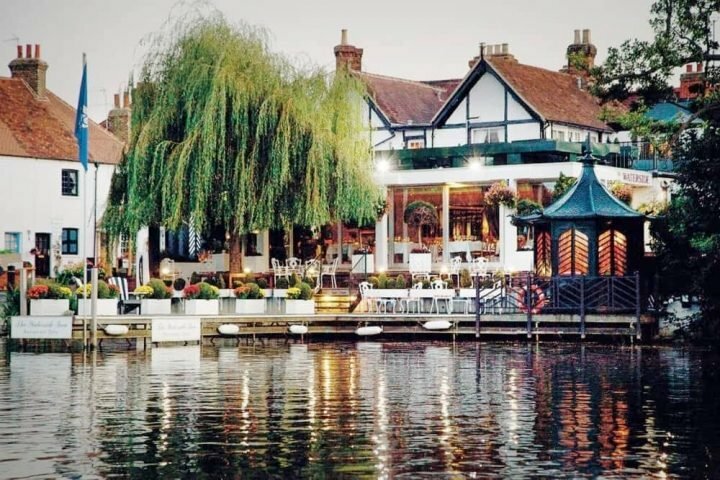 One of Henley’s largest and oldest pubs on the Berkshire side of this riverside town. 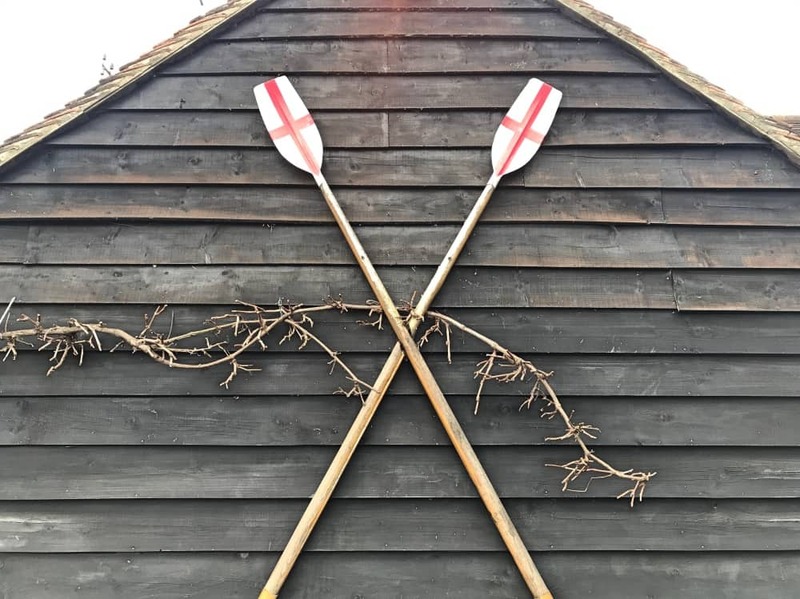 Set back from the busy main road, this pretty white and grey watering hole is at the bottom of Remenham Hill – just 50 yards from the Lycra clad rowers gliding down the Thames and a short stroll from the historic town. There’s a smattering of tables in a small courtyard for sun seekers, walkers and their dogs. Although well-behaved pooches and children are more than welcoming inside too. So far so idyllic. It will come as no surprise that The Little Angel is a regatta-goers fave. 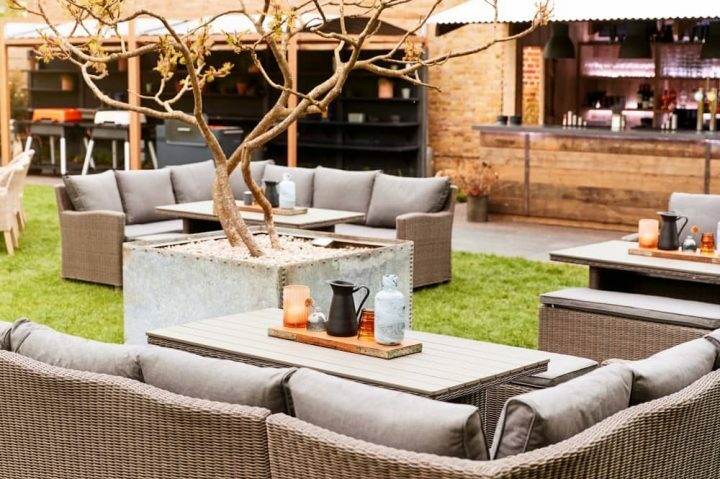 With its brilliant river views and homely decor – it’s the place to be not only during the regatta, but also during the literary festival, Rewind and Ascot week. Don’t believe us? Take the word of Prince Harry, Kate Moss, Orlando Bloom and Liam Gallagher who’ve all knocked back a few sherbets here. The Little Angel is relaxed and low key – with its Farrow & Ball walls and modern rustic decor, that’s a little tired in places. The conservatory where I was sitting was light and bright, but would would benefit from a little love. That said, a fancy facelift is on the cards later this year. So watch this space. The one things you notice, is its size, The Little Angel is a tardis. There’s a very authentically non-faffed bar area to the front, with a few break away snugs to hunker down with a drink. Head to the back and the dining room has a good mix well-worn wooden table, that spill into the large conservatory. It’s perfect for family get togethers and leisurely afternoons with friends. A lot of famous rowers are regulars (always worth knowing, wink wink) so good for ogling a six pack or two. 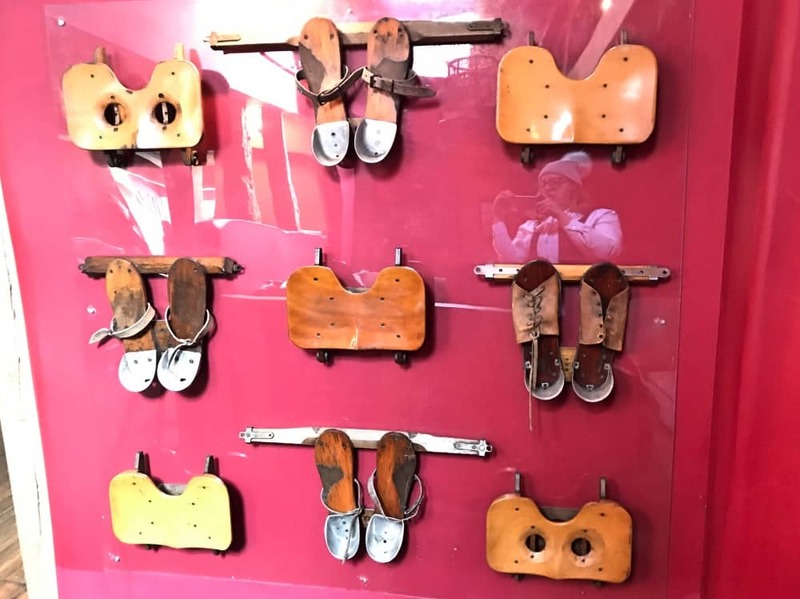 The art of the walls is a little bit random, but I enjoyed the the pop art of Marilyn Monroe and the feature wall of vintage rowing seats. 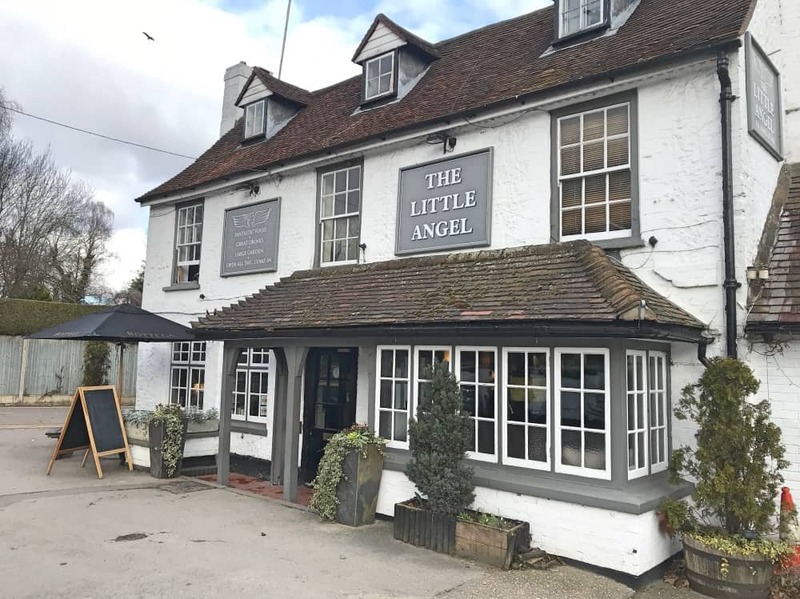 The Little Angel is owned by Henley-based Brakspear Brewery, and judging by the work they have done at other locations, once the refurb is complete it will definitely appeal to hipsters and interior junkies. Right now the food is the star of the show. The Little Angel’s extensive menu is more gastropub than pub grub, but it’s good to see a few classics to keep Mr M happy, and a kids menu to keep the mini Mudders from whinging. 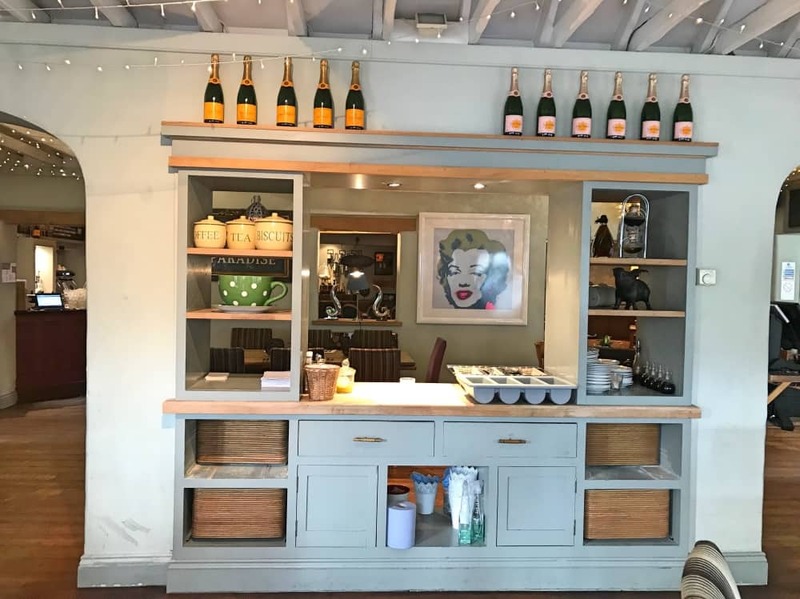 In fact, everyone is catered for – sharing plates for grazers, light bites for the less greedy (note to self, should loiter for longer at this end of the menu) or you can loosen you belt and for for the full 3 courses. Well hello, now your talking. Pull up a chair we’re going in. 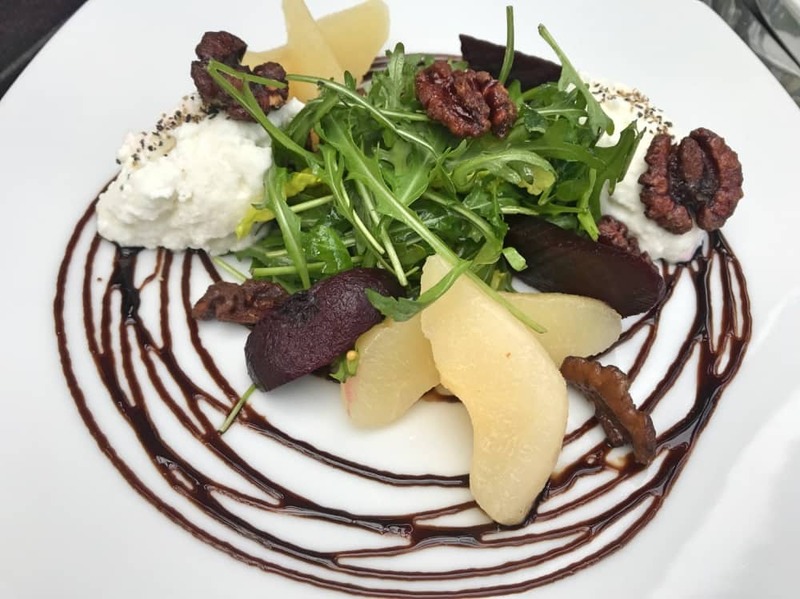 I started with a fresh goats’ cheese, beetroot, poached pair and candied walnut salad to start. Light, fresh and happily cleaned my plate. The candied walnuts were a revelation. Never had them before, but they took this plate of food from decent to utterly delicious. Up next was the rump of lamb from the special board. When the Beast from the East (yes it was THAT week) blows a hearty plate of lamb is basically the law. It was served with a cauliflower cheese puree, potato terrine with lamb tucked in the layers, gravy and a mint oil. 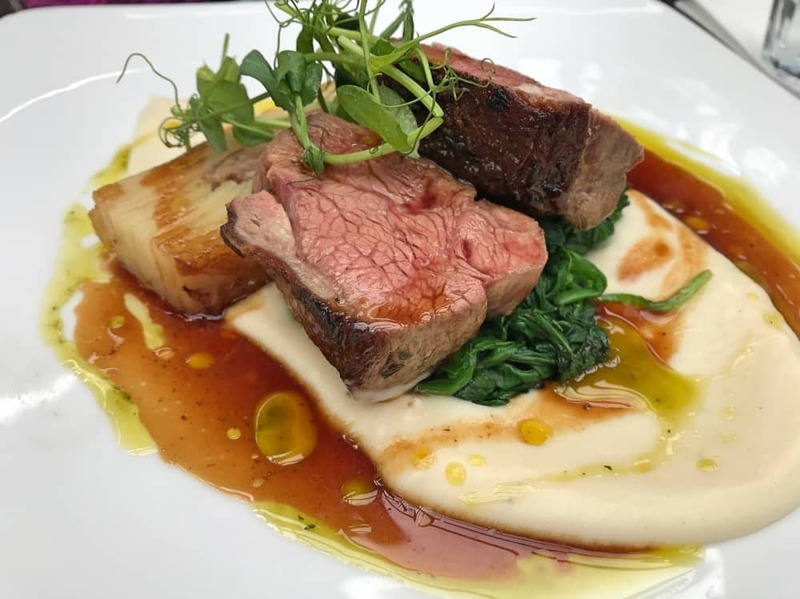 I was not that fussed about the extra lamb in the potato, but the mint oil and cauliflower cheese puree were both a lovely surprise. 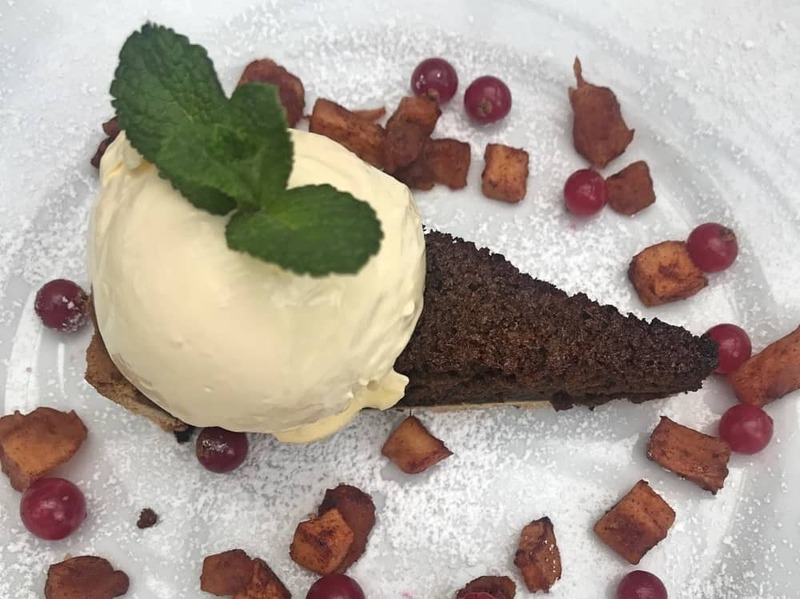 It would be rude not to squeeze in a pud: treacle tart, clotted cream and cinnamon apple compote, coming right up. I love a tart (no sniggering at the back) and when you throw a dollop of clotted cream that there is the size of a baby’s head, you’re messing with my childhood dreams. You can take the girl out of Devon but you can’t the the Devon out of the girl. The treacle tart was not what I was expecting. More of a treacle sponge with pastry base. It tastes delicious, but in my head it should have been a stickier consistency. The berries and apples cut through the sweetness and, yes, I did eat all of that cream. It is worth noting, Sunday roast is massive here – so booking is pretty much essential if you want a table for the brood before the kids lose minds with hanger! You’re spoilt for choice. You could spend the day here and probably not fit it all in. Take a riverside stroll, or pootle around the nice shops, there’s plenty of places to mooch. 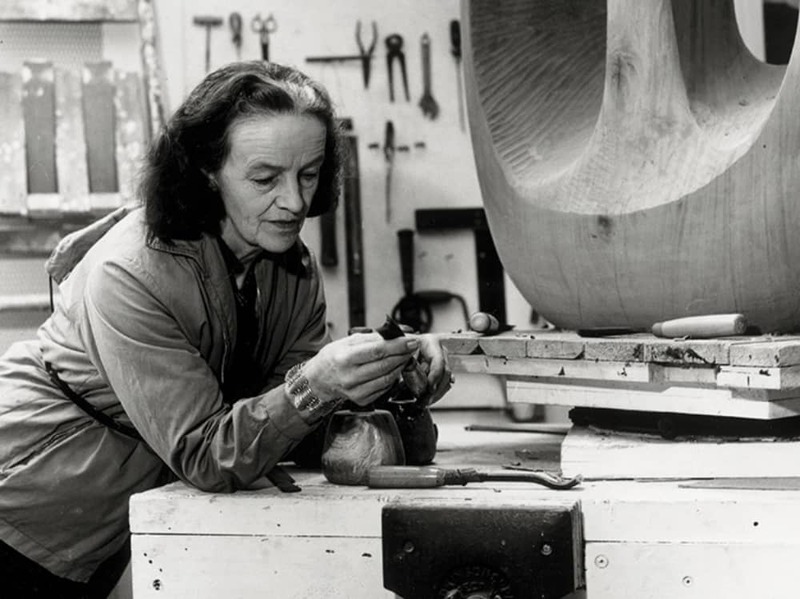 Culture vultures make a beeline for the River & Rowing Museum to see the Barbara Hepworth exhibition, Finding Form. It’s on until June and well worth a nose. There is also the bijou Regal Picture House – a cinema that embraces the concept of pinot and popcorn. Fancy a bit of a stroll and a history lesson, Grey’s Court is nearby. 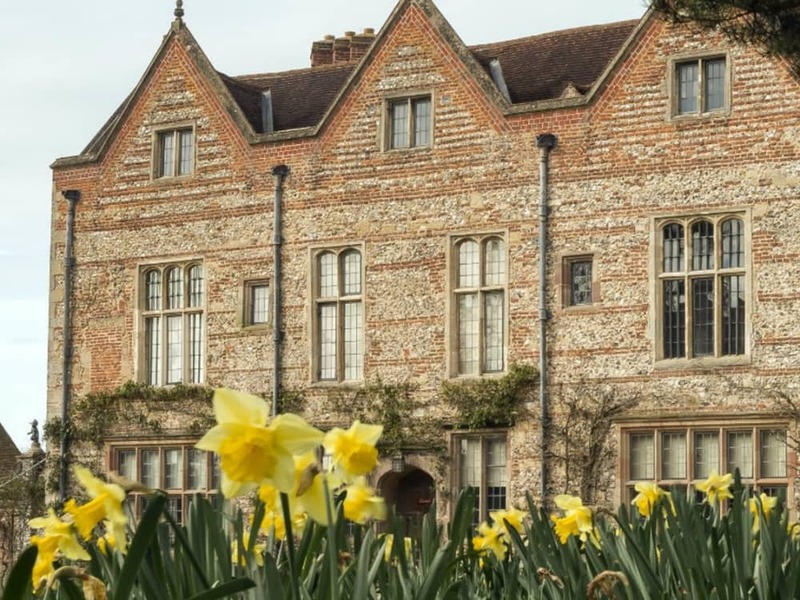 Originally a Tudor show house, that has only been inhabited by 5 families in its long history. And of course, there’s all the annual events to consider too – Henley Royal Regatta, Henley Literary Festival and Rewind. 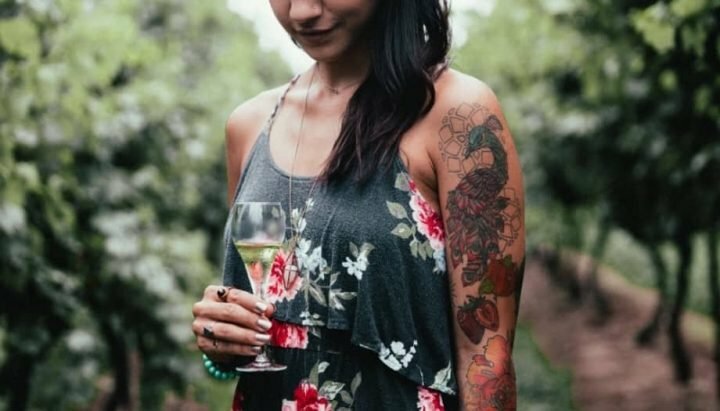 Good for: Sunday lunchers, casual drinkers, girly get togethers, worky lunches and family get togethers. It’s warm, welcoming and the staff go out of their way to keep you sweet. They even provide table service in the bar, so no queuing necessary. Nor for: Anyone looking for a large garden to boot out the kids. The garden’s a tad bijou. Yes you can sit outside in the sunny courtyard, but there’s not enough space for them to run around like loons nor does it have a play area to keep them contained. The busy road, might worry some, but once you’re inside, you barely notice it. The damage: Reasonable. Starters from £5.95-£8.95; mains £12.95 – £22.50 (ribeye steak) and puddings are from £6.50. You have put the Wrong pub address at the bottom -fake news! Oops! Good spot. Never put me in charge of a map.